One of the traits I referred to and read about recently in “The Good Among the Great” was to be more realistic. 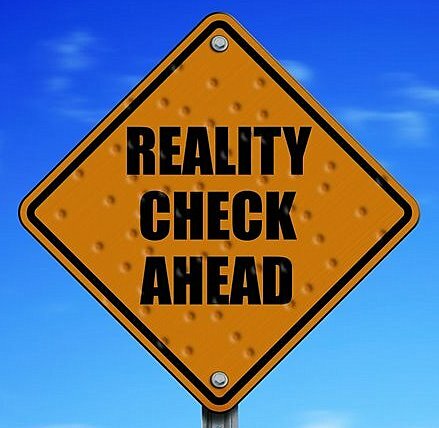 Being realistic however, is not always that easy. There are many things that get in the way of being realistic and hopefully these can help you avoid them and to be more realistic. Be no means are any of these intended to cause complacency or to stop dreaming, they are more a matter of being realistic to help enable more things in life and easier connections and relationships. I have always been one to encourage everyone to step out on the skinny branches of life to be adventurous,to have fun and to push the limits of what others like to think possible. Doing those things while being realistic is certainly possible and here are some ways I think you can do to learn this! The imagination is a wonderful thing and can let a person dream, create a hope or idea that is otherwise impossible. It lets you be creative and it lets you explore life in your mind before you suffer any consequences. However, using your imagination too often and coming across as a dreamer, you can create a reputation of someone who is too “out there” or dreamy without a down to earth approach. If you act on your imagination and put some of the dreams you share into reality by doing them and living them, you can not only enjoy the things you imagine but others will believe what you imagine is inf act possible. So, act on your dreams and make your imagination something you and others will see as reality! The materialistic disposable world constantly sends us a message of how we are inadequate and need to have so much more. Seeing past this to separate the things you actually need in life from all the distractions and status objects will help you to be a lot more realistic with your lifestyle. Change your perspective to the money you need to earn from the amount you want to earn and suddenly everything becomes a lot easier. You do make enough, you do have enough and no, you don’t need to have that upgrade, the latest device, that new sports car or that 12 room house for you and your spouse. If you put attention to your needs and needs of others, suddenly there is an immediate realism where the extras do not get in the way to complicate things. I know from my work that I am regularly faced with evaluating and judging solutions for a problem with software engineering problems. For me, it is easy to be skeptical of systems and people and I used to express these opinions far too quickly. Combining that with any amount of exaggeration and you have an extreme opinion that doesn’t typically sit well with others and they think you are being extreme, not realistic. Its quite easy for other people to be the complete opposite where they are so optimistic that they fail to see some of the obvious risks, again being far from realistic. It helps to control these extreme opinions and thoughts to present each side when appropriate but not to bombard people with one side of that scale. Sometimes a goal may seem unrealistic to others and an easy way to change this is to show them an action plan that gives some evidence that the plan is not only well thought out, but realistic considering some work and effort has gone into putting it into action. Most people want to rush everything, have everything right now and to be successful immediately in everything they do. Perhaps its fortunate, although most don’t see it this way, that things do in fact take time to happen or to learn. The journey of life teaches us that nearly everything takes time, yet people are more and more demanding and unreasonable when it comes to waiting or developing something over time. Whether this is a kid asking for some new toy, a new graduate or worker expecting the CEO title to come simply by asking, or salary and jobs to come simply be a desire for them. The fortunate part I mentioned is that those who realize things take time, they can have the patience and dedication required to get those things others simply demand. Decisions we make and the how we express our thoughts of others quickly affects what others think of us. Especially when it comes to being realistic and reasonable. If we are careful and fair in the judgments we have and mindful in what we consider, we will be considered a lot more realistic than if we make quick or rash decisions without any deliberate consideration. Not only the way we think and make decisions affect how realistic but we, but even more so, how we react to situations. Being realistic requires not blowing up in anger, reacting childish when things don’t go your way or reacting emotionally that would be considered over reacting. If we can stop and think about our reactions before expressing them, we can eliminate a lot of dangerous things that might otherwise be said or done. This will result in giving some time to think about a response being having it, which will then be much more realistic than a reaction not yet thought about. You have heard this saying a thousand times and it couldn’t be more true when it comes to being realistic when dealing with other people. Whether its a close relationship, on the job or a political decision, often putting yourself in someone else’s shoes is enough to get you thinking about more than one perspective, and it helps you be realistic. Humility comes after many other good traits and being humble in your own behaviors helps to ensure you do not put your own perspectives and worth above that of others. It is to ensure you see yourself and others equally and this can make many situations and decisions much more reasonable. 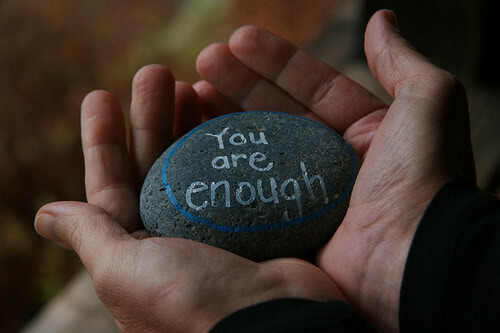 Knowing you are enough as you are, and that others are equally important can help you consider everyone in discussions, in decisions and in life. Being humble is a great way to be more realistic as well. Similar to many other items in this list, short sighted views are often what lead us away from realism and towards fantasy. If you are willing to listen to others, and really stop to actively listen, there are always things to learn from others to help us be more realistic. Whether it is a best friend sharing a concern about an idea, or a family member pointing out some way they were hurt by you, if you stop to listen, you can get off your own path and put others first. Even a fantastic idea that you might have will have a number of things to consider once you actively listen to others upon sharing the idea, and it can shed some new light or risks on the plan that you could easily of overlooked yourself. These additional perspectives are especially useful in work decisions and listening to others and getting some collaboration to help can make you be more realistic. Assumptions are what lead us all to jump in early, take on more than we can chew, think ourselves to be more capable than we are and generally get us into trouble for unseen risks. All this can be avoided by asking more questions. Whether this is for a project in your work, a home renovation, a new relationship or commitment in one, or simply an everyday decision, asking more questions before jumping in can help avoid all these pains and to discover something that would otherwise surprise us. Similar to the imagination above, dreams let us hope for something greater or something we desire. Dreams are great but they are not enough if there is no intention of fulfilling them so you must put some intention into that which you dream about in order to make those dreams more realistic. If you are moving towards a dream, it gets more and more realistic, so be intentional with what you dream about! People who are realistic are often considered very trustworthy. One way to be very trustworthy is to consistently stick to your promises and do what you say you will do. From returning phone calls when you say you will, to being on time when you make a commitment, to holding true to a life long spousal promise, doing what you say you will do can be almost at any size, but will built trust and leave people knowing that you are realistic with what you tell them, since you can be trusted. Most people like to think they can accomplish everything on their own and that they don’t need help and yet they often can see when someone else is struggling and not asking for help? Its strange that we let this ego block us from simply stopping and asking for help. When you do though, especially when everyone can see it already, you admit the need and asking for help makes you seem believable and realistic to see that yourself. When you put on a facade that you can do it all yourself, you destroy that perception others have and your own truth of being able to handle it on your own. Usually this leaves some casualties or negative consequences you never intended. One of my favorite subjects is authenticity. It applies here in being realistic because others can easily detect a change in behavior or personality, even when we can’t see it ourselves. Sometimes we act differently in each circle of our life and that gets exposed by people who cross those circles. That can destroy our authenticity and we cannot be believed as a realistic person if we are not consistent. Being real requires that we are consistent all the time and so being authentic about ourselves and our true selves, if crucial to be more realistic in life. Everyone has their slip ups, bad days, loss of control and the odd ‘Monday’ that gets the best of them. Its OK to let out some emotion from time to time and show that we are excited, hurt, upset, joyful, anxious or nervous about something. These expressions show variety and the ups and downs of life. If we are always controlled, balanced, non-reactive and seemingly ‘stone faced’ to events around us, its hard to understand that this kind of person is even aware of everything going on. Some reaction is often better than no reaction at least in extreme circumstances and without it, we can seem distant or disconnected from reality. Its OK to be expressive at times and just let out some emotion. And finally, one final way to be more realistic is to not protect your blunders, your mistake and failures. If you only ever expose your best side and hide the messy journey it took to get their, people can have a very hard time relating to your story and in some cases, your success. Be quick to admit your mistakes, sharing how they happened and how you learned from them. Don’t be afraid of failures, just use them to your benefit and to benefit others by avoiding the same. All your accomplishments and your character will be much more realistic when you are willing to admit your mistakes. It really is better to show some emotions, it’s not really good to keep all things to yourself – especially things that you cannot handle on your own. No man is an island and everyone needs somebody to get by his everyday trials. This is one of the most wonderful post I have come across and that too at a wonderful time when I was actually struggling with this situation. I was trying to read something technical and I accidentally stumbled on this. And I am glad I did. I liked the tips to be realistic and this can really bring down a person to reality and a behaviour that will be appreciated by everyone. Thanks a lot. While I was growing up, I often dreamed a bit too much. Not that I was disappointed on realizing the realities as I matured but that now has made me more of a realist than most people. For every wish or aspiration that pops in my head, I have a framework of reality already in place to encapsulate it in. In a way, it’s kind of bordering on self-discouragement, some would say, but I think it keeps me from going forward into ventures that are more likely to not work out. @AR – thanks for the thoughts about emotions, very true we need others often. @ray – thanks as well for your comment. I do hope my articles are able to reach those who value it. @jean – Ah, another dreamer turned realist. I can definitely relate and think that the experiences from dreaming are what make a realist more reasonable since they often have learned the hard way a out what might be real and what might be simple a dream and only ever a dream. It’s important to be realistic when setting goals. Setting goals that are attainable and realistic increases your confidence and motivation when you achieve those goals. Setting un-realistic goals and failing only leads to discouragement. Being realistic is the best thing we can do because living on a dream it’s not the solution to overcome adversity. Immagination can help yourself to live better for some moment but at last you will find with hands full of ideas but empty of the things you really need. Imagin and act are two different things. Focus on a goal and focalize yourself on it drives you to achieve yours objectives. Listen to others without duty to do what they said it’s important because another point of view can help you to approach life in a different way (maybe better).